It is a condition with ischemia (less supply of oxygen to the target cells) in the cerebral region of brain having unknown origin. It is the infarction in brain without any definite source. Due to this stroke, the patient may suffer from severe disability on long term basis. The identification of cause is necessary for further prevention and selection of treatment. Due to the unidentified cause, the proper diagnosis is required. Due to enhanced diagnostic techniques the occurrence of cryptogenic stroke is decreased with time. 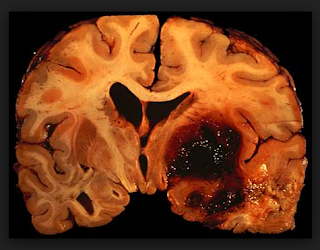 After evaluation, this stroke is considered as other ischemic strokes. Cryptogenic strokes are occurring in range of 120,000 to 180,000 patients per year (reported in U.S) and about 200,000 to 250,000 cryptogenic ischemic strokes are reported all over the world. Cryptogenic ischemic stroke as compare to other ischemic strokes associated with less mortality rate and also shows less neurological defects along with minor disability. In all of the ischemic strokes, one quarter are the cryptogenic strokes. So, to identify the underlying cause, additional investigations are done on working of arteriopathies, embolism in cardiac associated arteries, arterial fibrillation and coagulation problems. It is always a difficult task to find the exact cause behind it. Arterial fibrillation is considered to be the most common cause behind this condition. Arrhythmias, blood markers and left atrium enlarged also abnormalities in EKG are associated causes of cryptogenic ischemic stroke. • Disorders in genetic material. • The patient may feel irregular heartbeats. • Patient feels dumping rhythm of heartbeat. • There is always a discomfort feeling at chest. • Sometimes the patient feels tachycardia like the heart is racing. • Vertigo and light headiness may also felt by patients. • Weakness is another symptom associated with cryptogenic ischemic stroke. • Last but not the least, shortness of breath also occurs. Cryptogenic ischemic stroke if caused by patent foramen ovale have the chances of recurrence. A calculation shows that from 66 patients following follow ups, 11 will face recurrence of cryptogenic stroke. And recurrence rate of cryptogenic stroke caused due to cerebral ischemia is about 1.1 to 1.6%. In any other ischemic stroke, the development of stroke do not get effected with the presence of foramen ovale, atrial septal aneurysm or any other variables. About 60% of patients show good response to the therapy and management in all over the world. It is concluded that recurrence rate in young patients is very less. Treatment of Cryptogenic Stroke requires prompt intervention. Your health care provide may prescribe you anti-clotting agent to decrease the risk of clotting in brain that may cause further damage. If hemorrhage is severe and life threatening then surgical catheterization is necessary to restore blood circulation and prevent clotting in the brain.